Today we're gonna review one of the trending distance learning MBA program offered by Amity University. Lots of people wants to read about the distance education MBA program before taking admission. to make their life easy we're gonna post some information which may help you taking the decision. 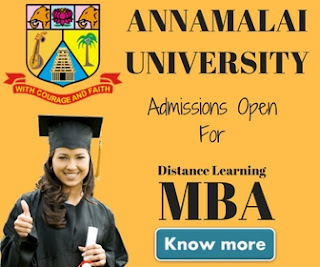 Currently Amity University offers two MBA programs under distance learning mode. To take admission into MBA 3 years a 3 years graduation degree is required. whereas, in case of MBAEFT a 3 years executive level work experience after graduation is mandatory. Number of subjects in MBA 3 years are 26 whereas in MBAEFT these are only 18. The one time payment options are as follows. In distance learning mode PCP (distance learning classes are optional). These classes are backup support of study materials and are offered in 8 to 9 “Sundays” in Six Months. The examination are conducted twice in a year, i.e. in the month of “June” and “December”. You need to score 30% marks in external (examination) and 30% in internal (Assignment) for passing a subject. A cumulative of 40% marks to be secured by the student. Noida , Janakpuri, Gurgaon, Saket, Defence Colony, Meerut, Vasundhara, Lucknow, Kolkata, Jaipur, Bhubaneshwar, Mumbai, Chandigarh, Indore, Bangalore, Ahmedabad, Raipur, Patna, Chennai, Pune, Jalandhar, Amritsar, Ludhiana, Agra, Bareilly, Moradabad, Varanasi, Bareilly, Allahabad, Ranchi. The distance learning MBA program is accredited by DEC (Distance Education Council). Amity School Of Distance Learning has been ranked 4th in DNA Indus Learning Survey 2012. As per ASoDL official website Amity has been ranked the No.1 institute for Distance Learning by the prestigious B-school Ranking Survey (Source: Times of India). 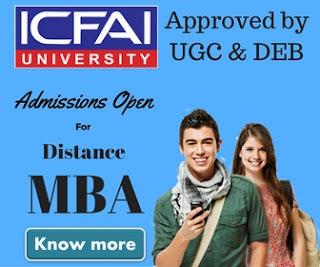 We've taken a great care to provide you all the necessary information in this small post of Amity distance learning MBA review but if you need to know anything else about the program please comment below and we'll try to come up with a reply as soon as possible.